"Walk so silently that the bottoms of your feet become ears"
Ienke Kastelein is interested in perception and the senses. She is engaged in context and habitat. Hence walking and sitting have become essential research methods as well as performance practices. Public and interior space are conceived as the studio or the stage. Walking is approached as a performance in which participants are the audience. Her approach can be perceived as scenography or dramaturgy of space. She embraces lightness and play. Her whole body of work is a research and a reflection on being present and presence itself. Ienke Kastelein (Assen, 1956) holds a BA in History of Art (Utrecht University) and studied photography at Studio Götze in Haarlem. She is a teacher in art and photography, and a guest lecturer at Master in Education ARTeZ, Pécs University Faculty of Art, Winterlab ARTeZ. In 2013 she was awarded the Boellaard prize. IK lives and works in Utrecht, the Netherlands. During a residency in 'het Vijfde Seizoen' at a Psychiatric Hospital in Den Dolder (NL) she worked on the relation between clients and their habitat, on sitting and being. In 2014 she participated in AiOP FREE! 2014 in New York with the participatory performance Have a seat on the sidewalk. In May 2014 she created the walk Very Very Slow in the footsteps of Ursula for New Habits at CasCo Utrecht. She participated in the Unnoticed Art Festival 2014 and 2016 (NL). 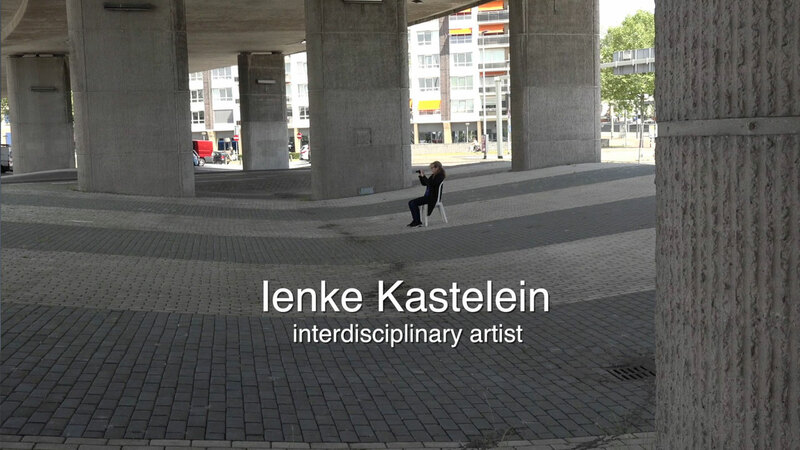 Her walking practice Walking with chairs has been performed internationally in New York, Maastricht, Oslo, Pécs and in the symposium Made of Walking - curated by Geert Vermeire - in Delphi. It was part of Walking, a program by Lydia Matthews at Parsons, Fine Art, New York. In 2016 she participated in the exhibition Hacking Habitat Utrecht. She contributed to the book Unmaking or How to rethink Urban Narratives 2016, a project of Expodium, Utrecht. During a residency she developed Tholos in Pécsbagota, a project on connecting memory, place and people in a rural community in Hungary. She participated in AiOP PLAY 2016 in Orlando, Florida with Dancing with Chairs and Metamorphosis #1 in Athens with the performance practice H EAR T HERE.